This elegant and sweet text sticker features the words "be happy" and two love heart designs. 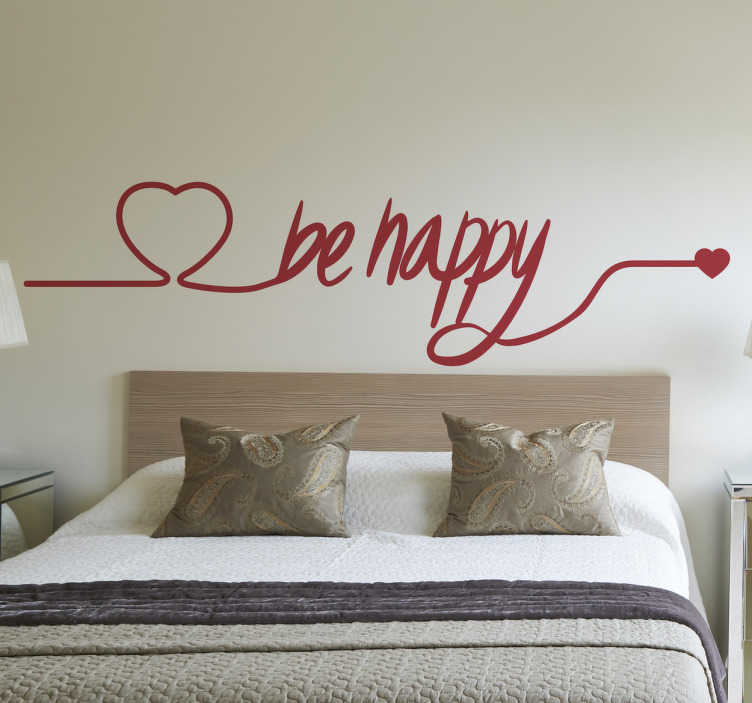 If you're a cheery free-spirited type, let visitors to your home know it with this decorative wall sticker! Available in a variety of different sizes, and if you require a custom size, don't hesitate to get in touch via email and we can have it manufactured for you! This vinyl makes for a great gift.